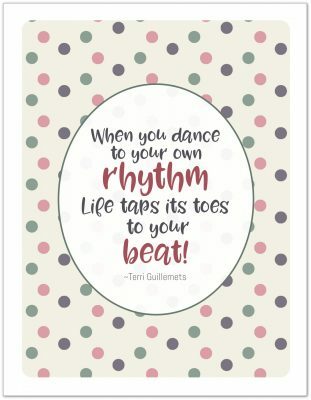 Welcome to Day 3 of the 31 Days 31 Printables series. Today’s post is getting a bit of a late start. In accordance with the rules of motherhood, where it states: ‘Anytime your children are sick you can take it as a given that you will become equally or more sick with the same illness,’ I have obligingly caught the same cold as the one that kept Liam home for two days this week. There is something to the saying, ‘do what you love’ because despite feeling miserably under the weather, sitting here chatting with all of you is bringing a little sunshine into my day. I’m really exited to be sharing today’s printable with all of you. If you’ve been a long time reader, then you know that I am big proponent of finding and using what works for YOU, even if it means thinking outside the box a little (or a lot). 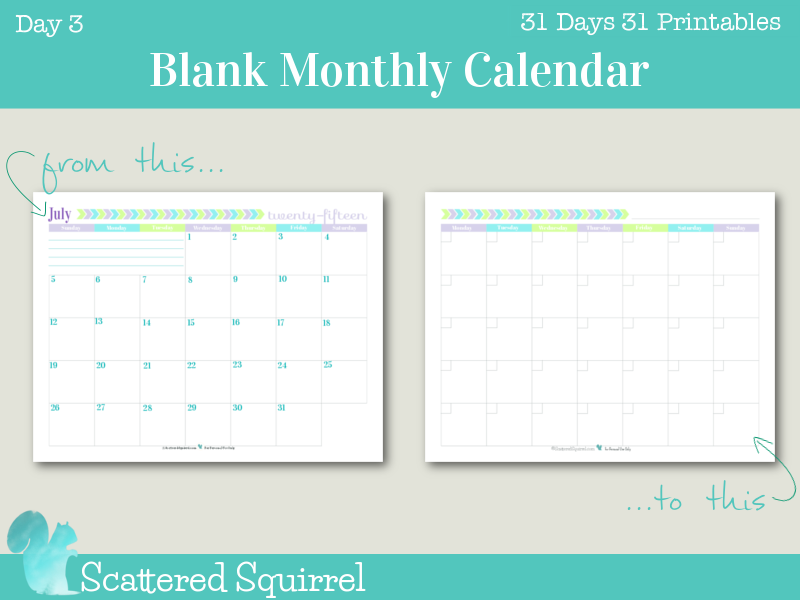 Today’s printable is a little outside the box, not far outside, just a bit, but I’m loving this blank monthly calendar with a twist. When it comes to calendars, there are a few to choose here on the blog. 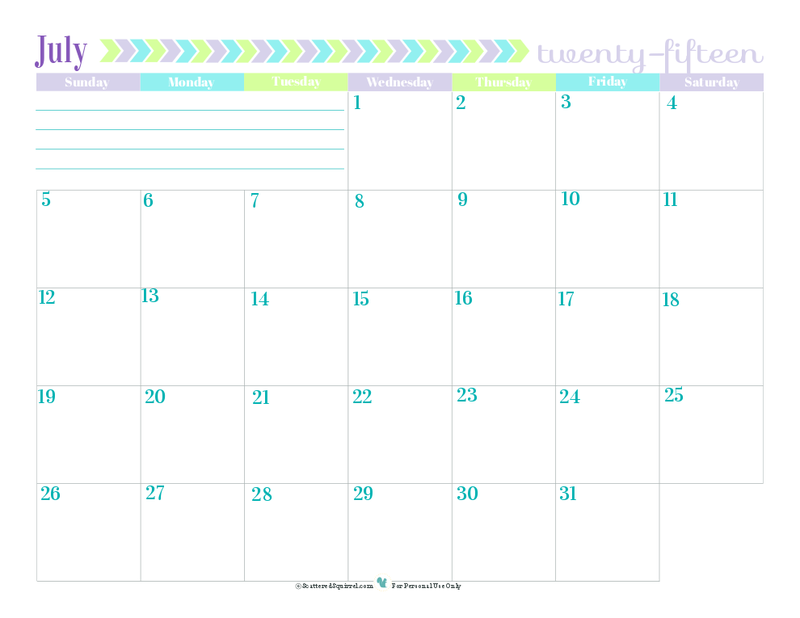 Just head on over to the Dated Calendar page under the Printables tab, and you’ll see all the different versions. 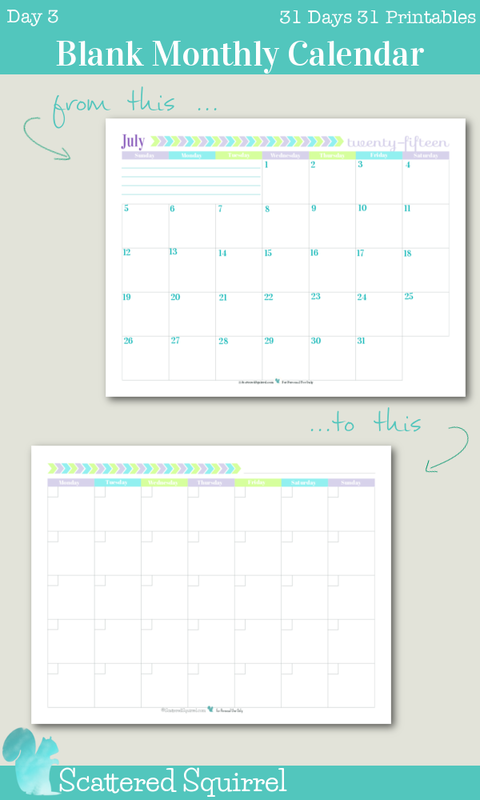 And for those looking for a regular ole blank calendar (sans twist) you can one of those on the Personal Planner page. 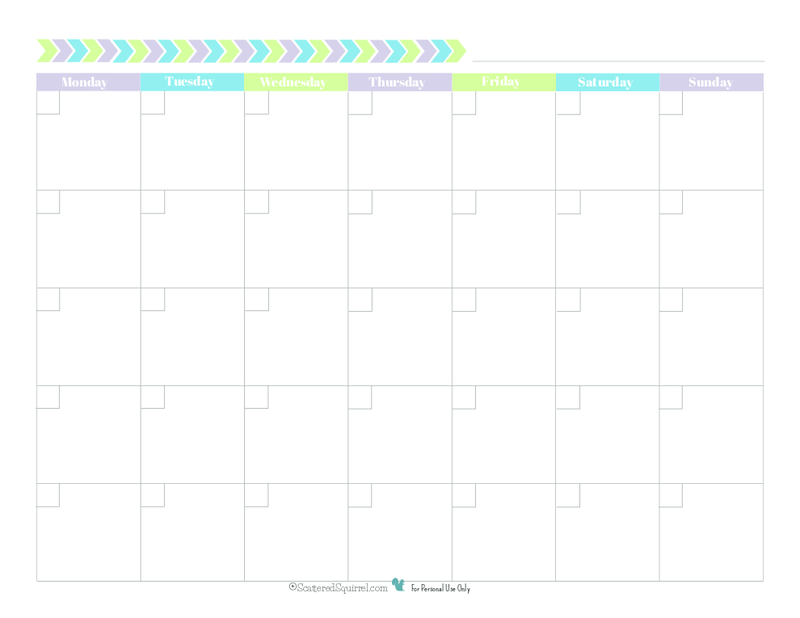 Monthly planner pages, like the one seen below, are what I consider to be the foundation a good planner. Being able to see a whole month at a time allows us to spread things out a little more evenly when we can. As with anything else in life, we all look at and use calendars and planners differently, and that’s where the twist in the new printable comes from. I am also writing to take you up on the offer of asking for more 🙂 I would love to get undated monthly calendar pages that start on Monday. I couldn’t resist moving it to the top of my current ‘printables to change, update and make’ list. I don’t know why I haven’t done one of these before. My personal weekly planner is set up Monday to Sunday, because I plan my week on Sunday evening. It seemed kind of weird for me to have my first day of the week in my planner page be the day I do my planning. Why I never thought of making a monthly calendar page with the weeks starting on Monday kind of baffles me. So, I’m really thankful that someone thought to ask about it. What day do you prefer your calendar start on? What a nice thing to say. I’m happy to hear that you like the printables and that you’re find some that are useful for you. And thank you so much for your kind words. Hi Traci, if you head over to the blog page, there is a recent post called Updated 2016 Half-Size Calendars, all the new ones are in that post. I hope that helps.